Rey Ortega’s Comedy Ventriloquist show will leave your audience with smiles on their faces and wanting for more! Rey’s performance, technique and showmanship is like no other. From the moment Rey’s characters hit the stage you will believe that they are real as they deliver a triple threat performance of comedy, music and even dance! Rey builds all of his own unique characters and his cast continues to grow. Rey’s performances range from squeaky clean to PG-13 with just enough spice to keep it fun. From southern California, Rey incorporates his native American heritage, his Hispanic Heritage and Southern California creativity into his shows for a wide variety of audiences. 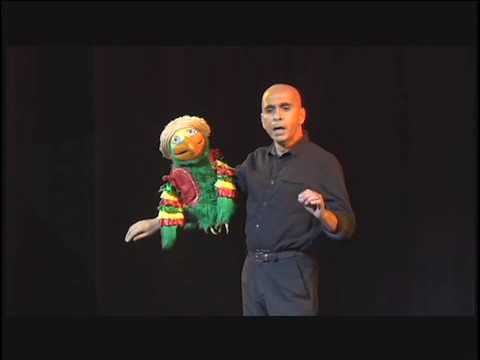 With his life long love of puppetry and ventriloguism his style is comedic story telling using his puppets to engage the audience. The Orange County Fair, LA County fair, The Date festival, Indio Calif.